Hello again! Three posts in three days is such a rarity for me! 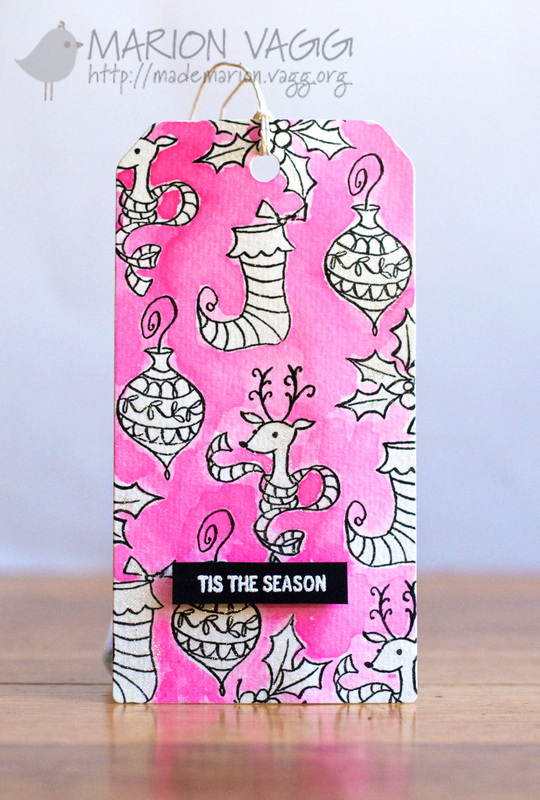 But I do have some fun Christmas tags using some new Penny Black products that I hope you will like. A couple of week’s ago, I made this card which uses the same technique as the tags below. I stamped a whole lot of images from the Penny Black Tiny Treasures stamp set onto water colour, and then loosely water coloured around the images to create a fun and whimsical effect. To add some extra sparkle, I coloured in all the white images with a clear Wink of Stella glitter brush pen. They are really sparkly and shimmery in real life, but was hard to capture in the photos. The sentiments are from the Holiday Snippets stamp set, which has just about every Christmas greeting you will ever need! I can’t believe it is almost November! Yikes. Christmas will be here before we know it. 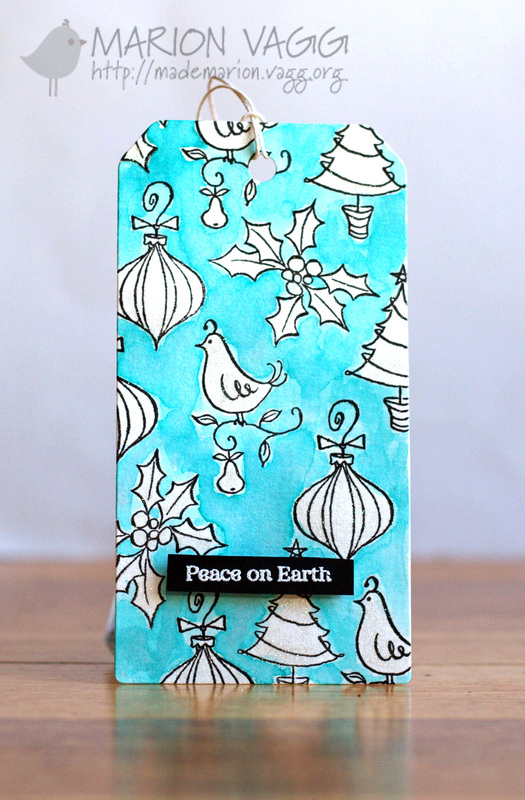 How is your Christmas card/tag making going? 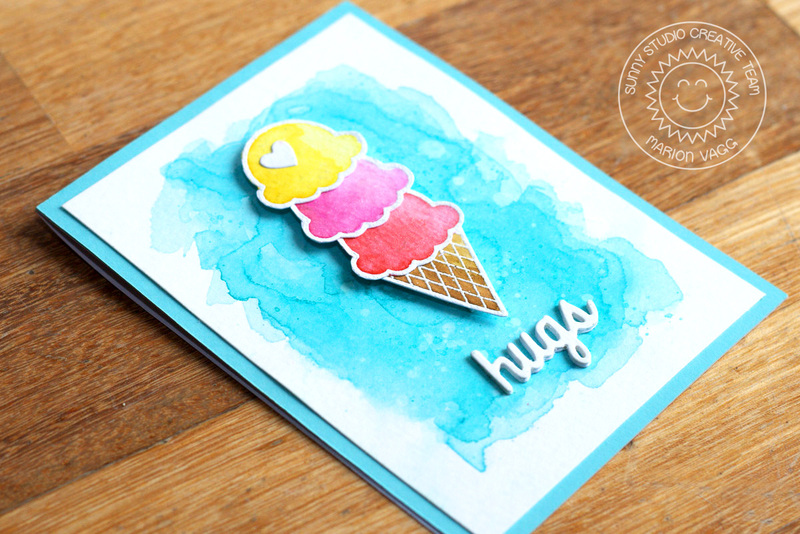 I’m back today with some cards using Sunny Studio stamps and dies. You can find my post here on the Sunny Studio blog. 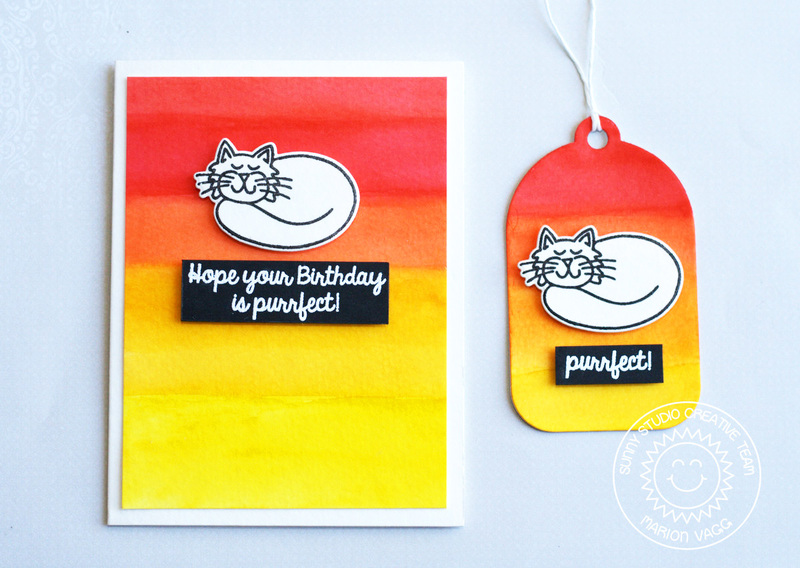 This week the Design Team have been using the Birthday Smiles stamp set and the Fishtail Banner dies. First up I have created a watercolour-y ice cream scene that just reminds me of summer. I white heat embossed the images and then coloured them with Distress inks and a paintbrush. It’s a bit hard to tell, but the scoops of ice-cream are all shimmery from a coat of clear Wink of Stella brush glitter pen. Next up, is a graphic card design using the Fishtail Banner dies. 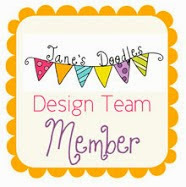 I just love the stitched banner die – it is one of 4 designs to choose from in the set. 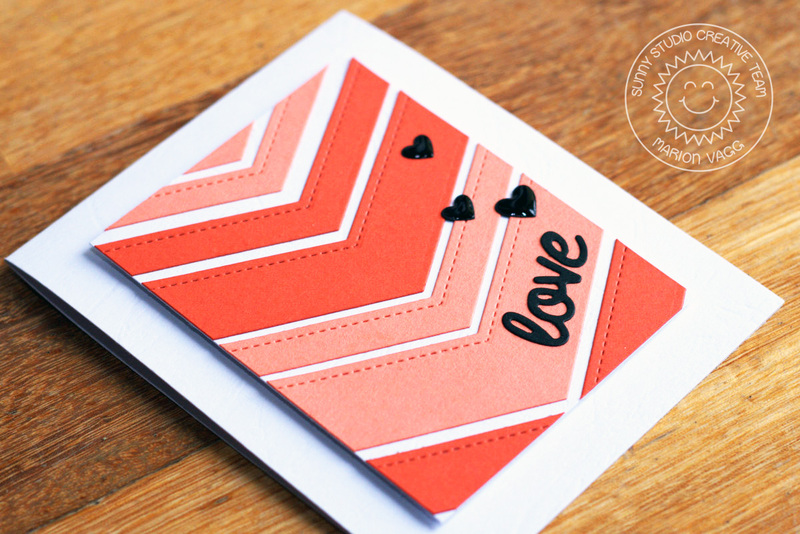 Both the Hugs and the Love sentiments are from the Furever Friends die set, as are the heart accents. Thanks for stopping by today. I’ll be back real soon with some more cards. Hello. 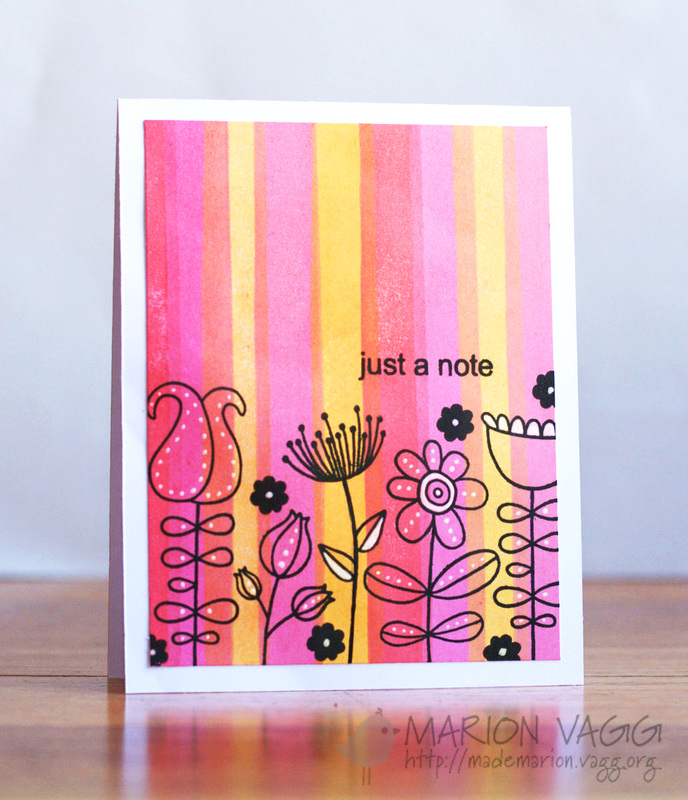 Today I have two cards up on the Jane’s Doodles blog using three of her stamp sets – Doodle Flowers, Doodle Flowers II and Stripes and Dots. 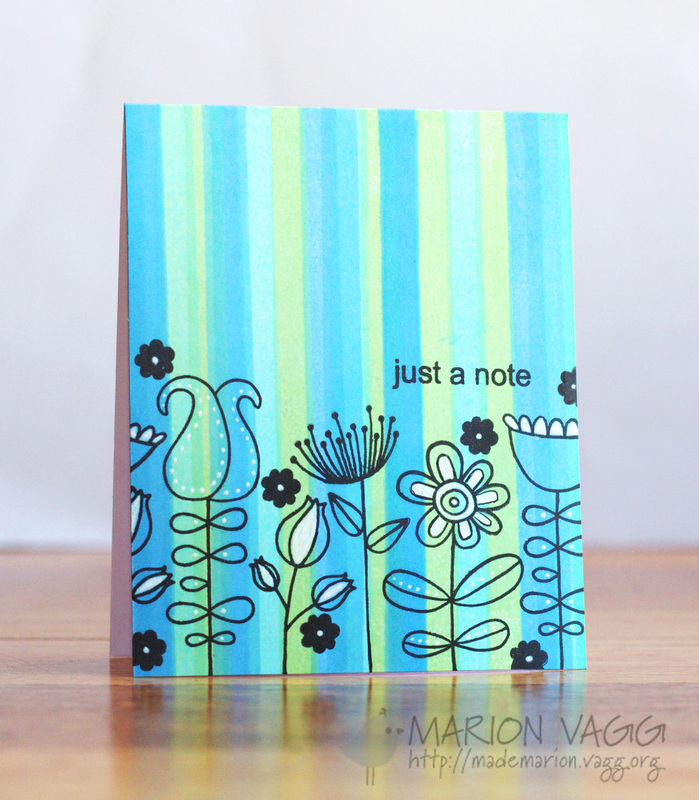 I created the backgrounds on both of these cards using the stripe stamps from the Stripes and Dots set and three shades of dye ink. 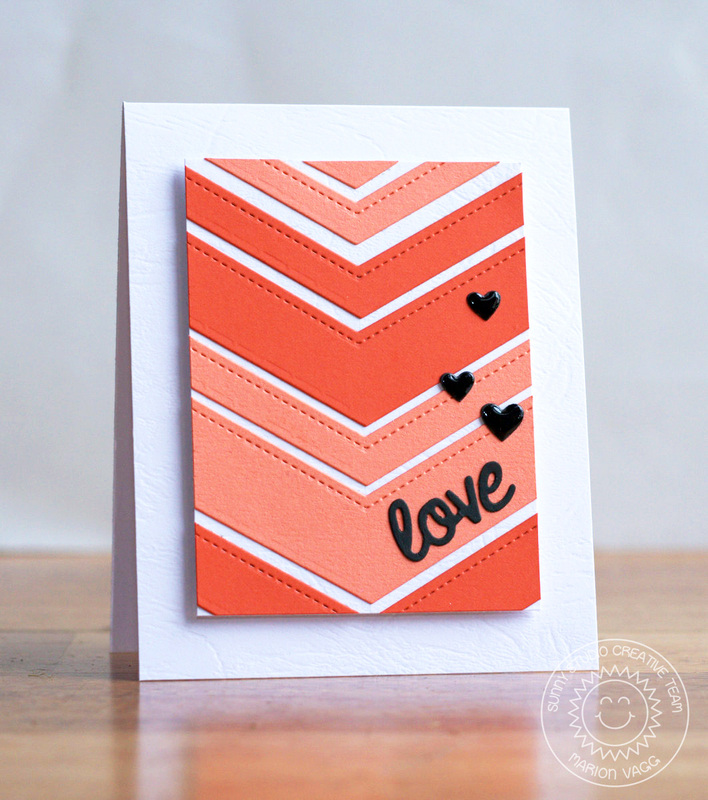 I overlapped the stamping and double stamped some of the stripes to create the background. 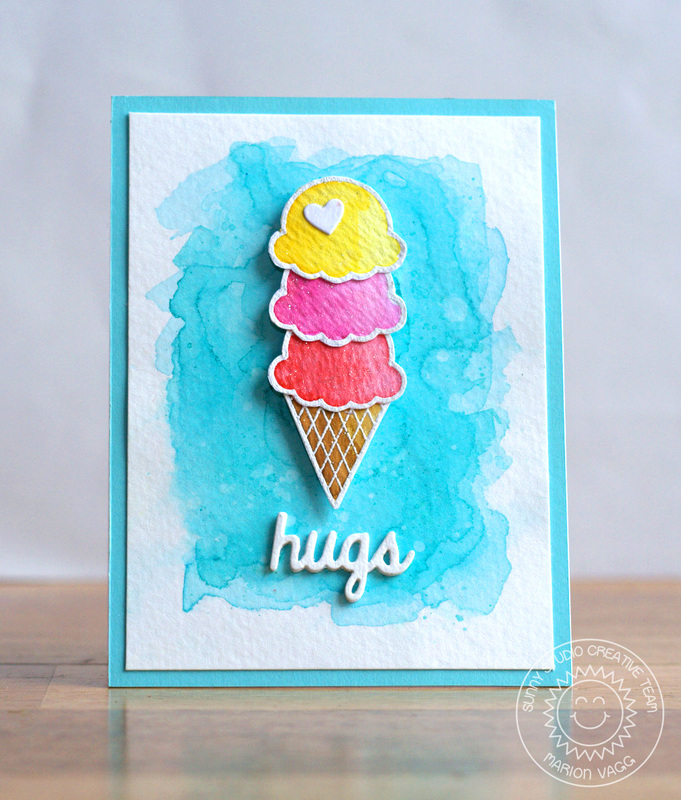 I love how the inks blended together and it looks as though I have used more than 3 colours on each card. Once the backgrounds had dried completely, I stamped various floral images from the Doodle flowers sets with VersaFine Onyx black ink, then added in some white gel pen detailing. I think I like the blue/green one. Which one do you like best? I’m back with a really quick and simple technique using some Sunny Studio products. You can see my post here. 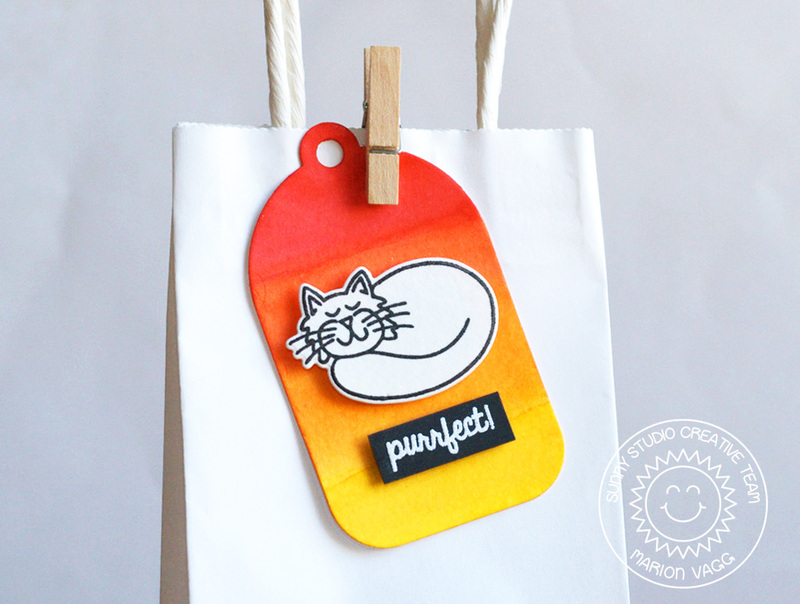 I used the Furever Friends stamp set and its coordinating dies, which have some really cute cat images. If you are not confident with colouring images, or like me, was running short on time, then maybe this could be a technique for you to try. Instead of placing the colour onto my images, I created a really vibrant watercolour background with distress inks. I love the contrast. To get the background to be so vibrant, I added several layers of Distress inks, making sure to heat set between each application. The colours used from the top down were Barn Door, Festive Berries, Ripe Persimmon, a mixture of Ripe Persimmon and Wild Honey and Mustard Seed. The black sentiment strip tied the whole project together. I love how it turned out – but my daughter just couldn’t understand why I didn’t colour in the cats! Ink: Versamark ink, Memento Tuxedo Black ink, Distress Ink – Ripe Persimmon, Festive Berries, Mustard Seed, Barn Door and Wild Honey. 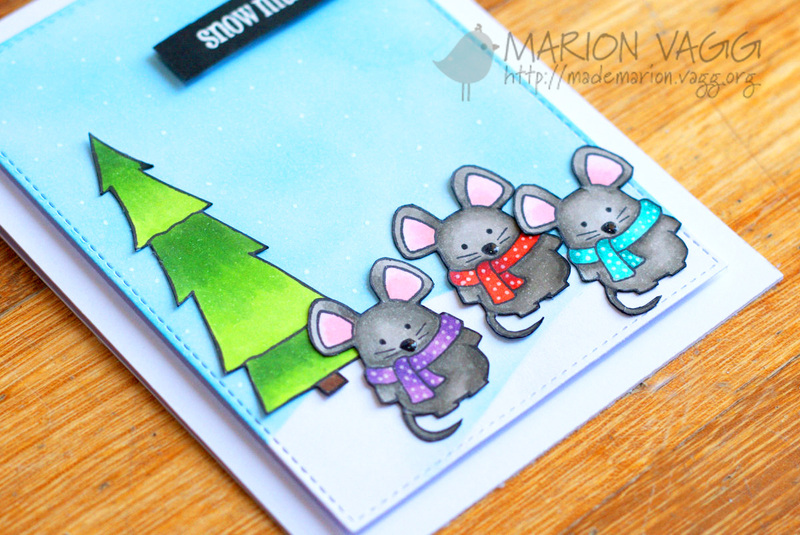 I’m back with another card for Jane’s Doodles and I just had to create a card using the adorable mice from the Winter Wishes stamp set. At the moment the stamp set has sold out, but you can pre-order it as they will be arriving in the store next week. I created my own mask and used distress inks to make some snow banks. The mice and the tree are coloured with Copic Markers. It is hard to tell, but I spritzed the blue background with some Perfect Pearls and it has a lovely shimmer to it. These mice look like they are singing Christmas (or is that Christmouse?) carols. Such cute little critters! Short and sweet from me today.